We’re delighted to partner with Sarah Keane Designs to bring you a bright and charming collection of illustrated greeting cards! Sarah is a mixed media artist in Adelaide who loves to create artwork using all sorts of mediums. She’s most inspired by colour, textiles, pattern and nature. Sarah is excited to contribute to Noteworthy Cards because she loves seeing her creativity used to help people and the planet. 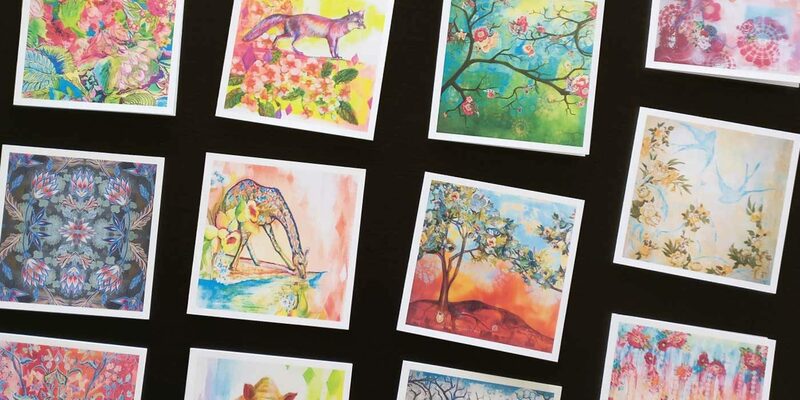 The Keane Collection is a range of creative and colourful cards with blank insides, making them ideal for any occasion.